"... prepare for a thoroughly upbeat, good old-fashioned party vibe." 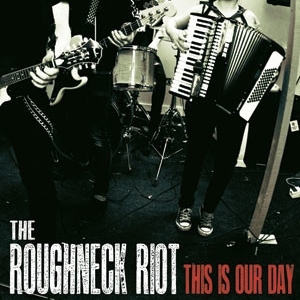 Kicking off with their rip-roaring new single ‘Ignorance Is Easy’, Warrington-based sextet The Roughneck Riot swagger into the joint and throw all the bittersweet energy and whisky-soaked delivery of The Pogues right in your face. Likely to bring on a foot-stamping contest among revellers with a large dose of melancholy chucked in for good measure, expect banjos a-go-go on this sophomore full-length and hearty accordion accompaniments just asking for a bouncing dancefloor. Just like the godfathers of folk punk, expect sorrowful subject matter, but do also clearly prepare for a thoroughly upbeat, good old-fashioned party vibe.